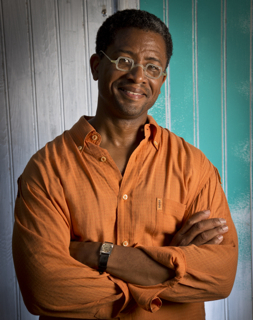 Born in New Orleans, Lolis Eric Elie is now a Los Angeles based writer and filmmaker. A prolific writer, Elie has written multiple cookbooks celebrating New Orleans’s cuisine, for TV (currently, AMC’s Hell on Wheels), and documentaries. His work can be found in Gourmet, The Washington Post, NYT…and most recently he was on David Chang’s docu-series, Ugly Delicious.